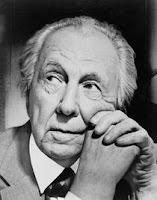 What did Frank Lloyd Wright tell the artists of Disney? or easier to read transcripts here. So where would Wright drive this beauty? The car I mean. He’d drive it front of any one of his own buildings, no doubt. Where else? 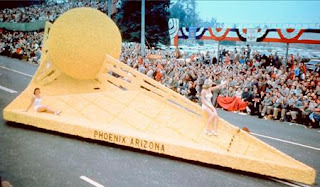 Photo from the same Frank Lloyd Wright website of a float designed by Frank Lloyd Wright! for the 1957 Tournament of Roses parade in Pasadena. Wright, who made his home in the Valley in 1957, agreed to design the float for the city at no cost after a small committee from the Phoenix Junior Chamber of Commerce approached him at Taliesin West. Wright was 90 at the time. The float was built for $6,000. Parade judges were impressed, and they awarded the “First in Sunshine” float first prize in its category! 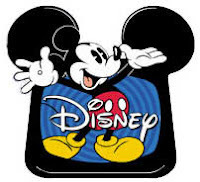 You are currently browsing the archives for the Disney category.